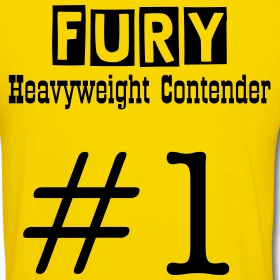 I’ve written dozens of articles, fight reports, previews and message board comments on Audley Harrison in the past five years, his professional career running parallel to my own contributions as a boxing writer – if affording myself that title isn’t too much of an insult to the Putnam, Leibling and Mailers that precede me. In fact, I’ve compounded the crime – mentioning their names close to mine – but hopefully they’ll excuse the indulgence. I was there at the beginning, a raucous, star-studded London audience welcomed the Olympic champion to the professional ranks. Lennox ringside, Hagler in the analyst’s chair and a host of B-List celebs fawning over their new recruit. It all seems such a long time ago. The fight on Saturday night, despite the blood and thunder of the Graham Earl and Michael Katsidas’ Interim WBO title shot, provided the most stunning moment of the boxing year thus far. The jeers and cheers that accompanied the final moments of Harrison’s passing resemblance to a heavyweight of note providing a damning crescendo to the gauntlet of mistrust, dissatisfaction and bemusement he has run with the British public. As reported elsewhere, Audley ducked into a wide left hook from Sprott and plunged, striken onto the canvas and into the heavyweight abyss. Had this been a film, with the benefit of slow motion and special effects, it could well have shown the canvas opening up and sucking Harrison, his hyper-bole, his entourage and his wasted talent into an infinite vacuum. The moment was as shocking as it was conclusive, and though it may arguably be less damning than his heartless defeats to Williams and Guinn it certainly extinguish any illusions of grandeur Harrison had about his standing as an elite heavyweight. He’s been a well-paid under-achiever and despite his inevitable return already being planned it is very hard to see anything but a humiliating supporting role for the one-time golden boy of British boxing. To paraphrase the early Audley, the gravy train has stopped. Did it ever start?